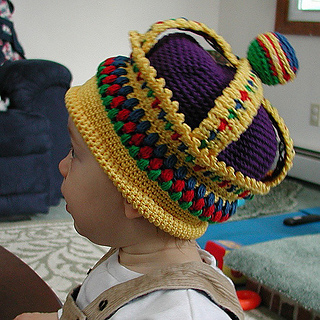 Fit for a little prince or princess! 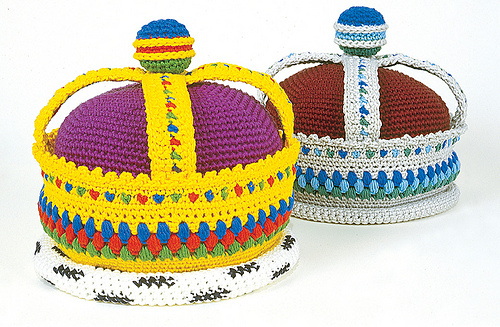 Our crown, in 3 sizes, is easier than it looks to make. It has a deep purple “velvet” base and optional black and white “ermine” trim. Choose gold or platinum, and the colors of your favorite jewels. It uses one basic stitch - single crochet, plus puff stitch, and our stitch guide includes illustrated instructions for both stitches. Written and illustrated instructions are also included on how to change yarn colors.